NCSU students are being vigilant because of recent episodes of attempted break-ins and secret peeping. 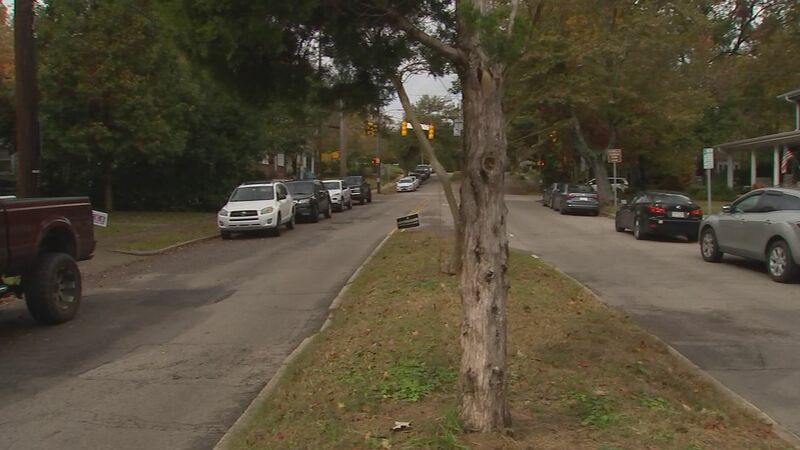 RALEIGH, N.C. (WTVD) -- Students in neighborhoods around the N.C. State campus are again on high alert. After weeks of numerous reports of a man peeping or entering homes near the West Raleigh campus, Raleigh police made an arrest in late October. But Tuesday morning, police were back in one neighborhood across Hillsborough Street from campus after female residents there reported an attempted break-in. The area of Clark Avenue in West Raleigh where the break-in attempt happened. "The police came here this morning. They said it happened across the street around 6 a.m.," said one NCSU student who didn't want to be identified. The college senior went on to say, "They wanted to know if we had cameras. I know a lot of the girls around here have installed motion-activated cameras." Police charged Mark Anthin Graham, 48, with secret peeping at a home on nearby Brooks Avenue on October 26. That arrest is the fourth time he's been charged with peeping in the past year. But Graham is black and some victims have reported a white male suspect. There is no description for the suspect who tried to get into the house on Clark Avenue this morning since no one saw him and he apparently was not captured on surveillance video. The good news is that many students who spoke with ABC 11 about the crimes say their awareness has been heightened and they are taking precautions. NCSU student Madeline Mikolajewski lives next door to the house where the incident happened Tuesday morning. "All the girls that live around here don't really walk anywhere at night anymore. And like even if it's early, because there have been knocking incidents earlier, like sometimes our roommates when we go out to our car like we have someone go with us or like if we go to the library we have someone pick us up even if it's just dark out because it's scary because we don't really know what's going on," she said. All the students said police have responded quickly to calls and a Raleigh Police Department spokesperson said investigators are closely monitoring the situation.